Tags: bee seeds, wildflower seeds. 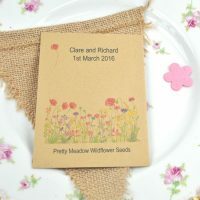 We think this pressed flower recycled seed packet wedding favour is so unique and unusual! The seed packet is personalised with your wedding details and is made from recycled paper. 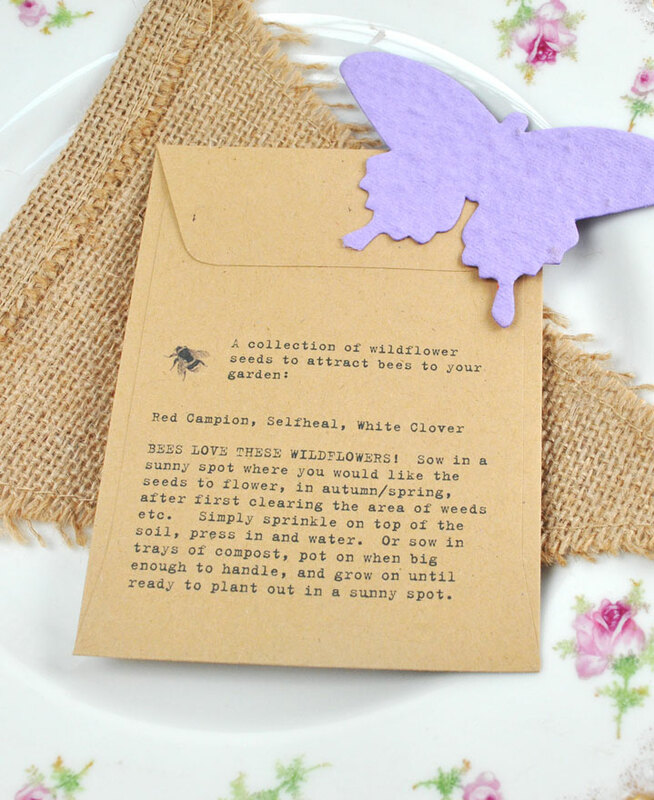 The wildflower seeds are inside in a sealed plastic wallet and are perfect for bees – they love them! The seeds comprise White Clover, Red Campion and Selfheal – all will come up year after year and can also be grown in pots (for those of your guests who don’t have gardens!). These are British-grown, British wildflower species, so perfect for our native bees! The sowing instructions are printed on the back. The seed packet measures 9 x 12 cm. The real pressed flower is the main feature of this packet! The flower will be chosen from stock available when you order, although you can mention a particular colour you would prefer and, if we can, we will use flowers in that colour shade. Unfortunately, because we have to choose from what is available when we order in the flowers, it is not possible to specify a particular flower choice. Therefore, the packets will be in a mix of flower species and colours. Please advise your personalisation details in the box above. 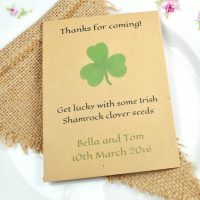 Great eco-friendly wedding favours and an absolute essential for a country themed wedding! These packets will also complement your bouquet and other flower choices perfectly! 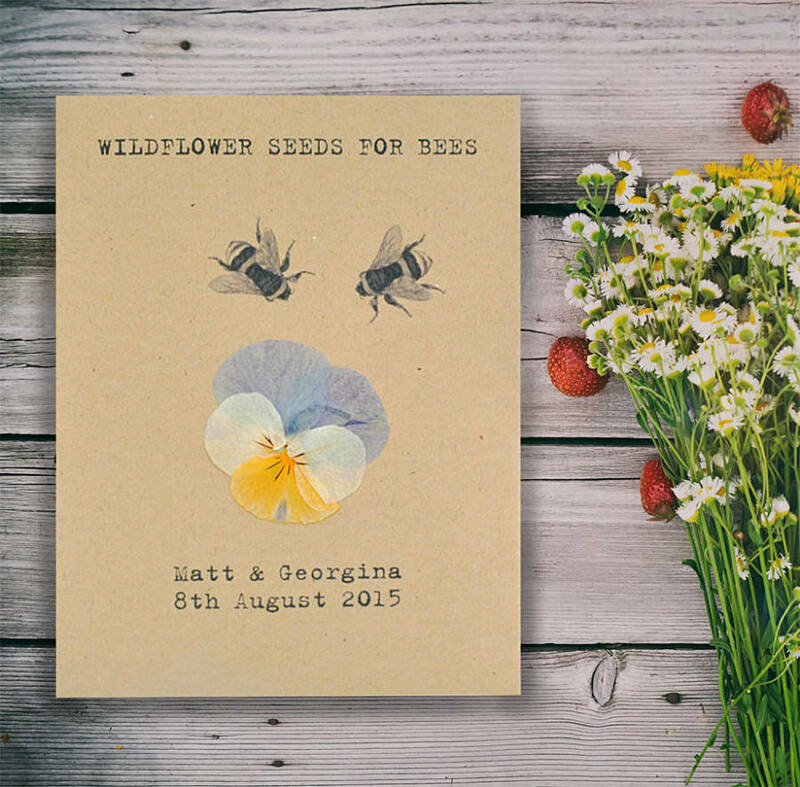 The seeds in our pressed flower recycled seed packet wedding favour are very easy to sow – simply choose a sunny, weed-free spot (or a pot of peat-free compost) and sprinkle on the seeds. No need to cover them with soil/compost – just gently press them into the soil. Water well and wait for them to germinate, watering if necessary. A pretty lilac colour wildflower and almost pin cushion-like in appearance. It is also known as Gipsy Rose and Ladies’ Hatpins. 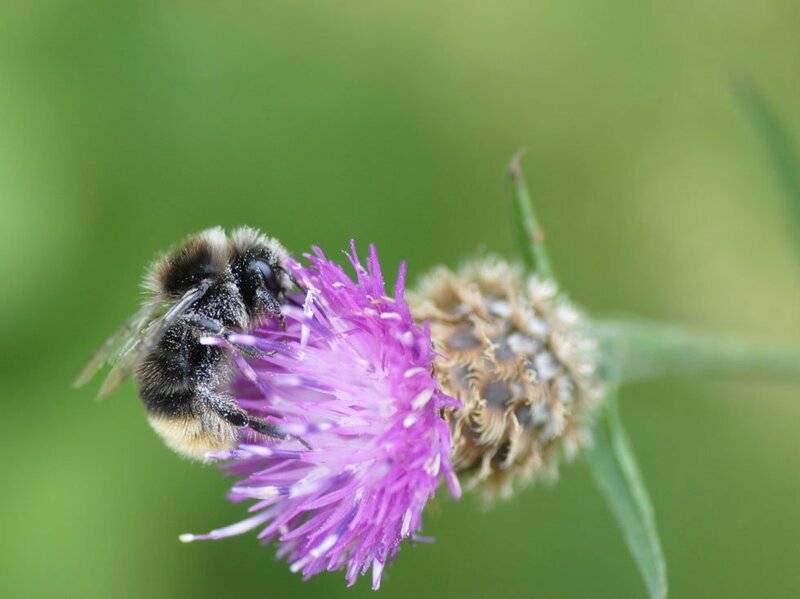 It is an attractive plant to bees and butterflies – it is the particular food plant of the Marsh Fritillary butterfly and Common Burnet, Lime Speck Pug, Shaded Pug and Narrow Bordered Bee Hawk moth. It is the preferred nectar source for the Small Skipper, Marbled White, Red Admiral, Essex Skipper and Small Tortoiseshell butterflies. 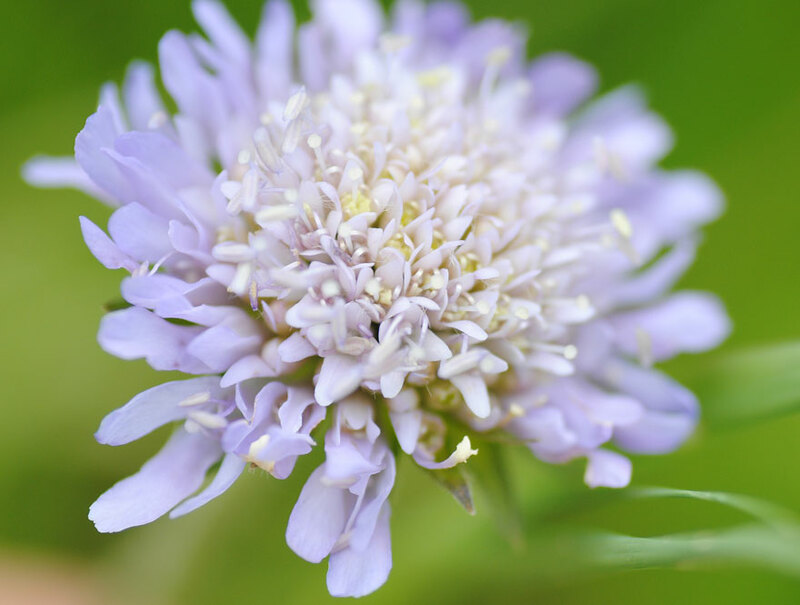 Field Scabious grows to about 2 ft in height. 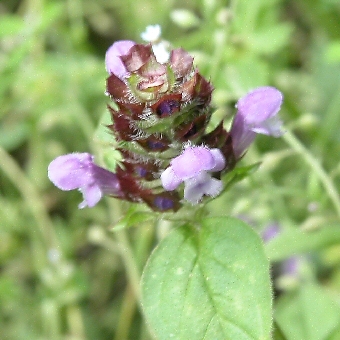 The whole plant, excluding the root, was made into skin ointment for treating scabs, sores, ulcers, gangrene and dandruff. Also used for fever, coughs, pleurisy, lung problems and stitch. Do not try any of these remedies, though, without first consulting a qualified herbal practitioner. 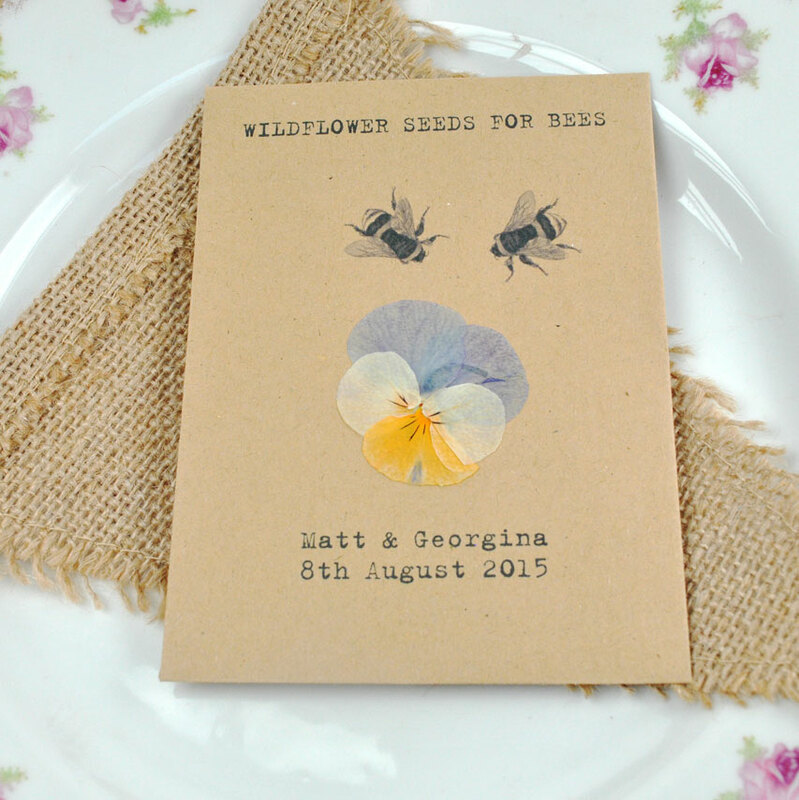 One of our favourite wildflowers here at Wildflower Favours! This wildflower products many stems of gorgeous purple flowers that the bees absolutely love! Can grow as high as 3 ft.
Birdsfoot Trefoil is a low-growing wildflower found in pastures and meadows and other grassland. 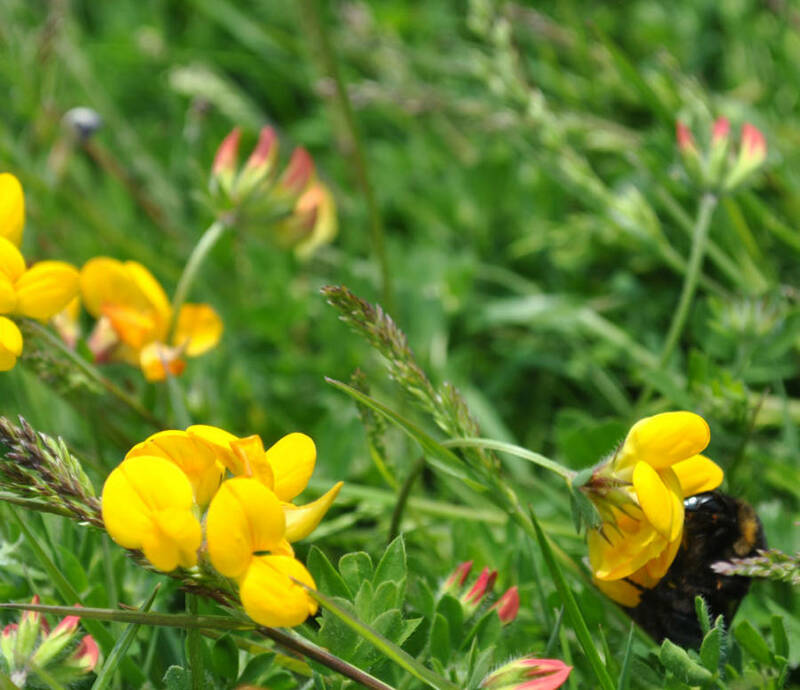 Its yellow pea-like flowers are magnets for bees!